Sign up to get the latest insider info on travel to and around Egypt. Why Egypt? And Why Now? 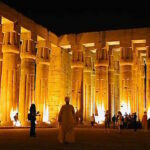 When Is the Best Time to Visit Egypt? How Long Should You Stay In Egypt? Check out the new Egypt Travel Blog Podcast on iTunes! Definitely unique, fun, and informative. Egypt Travel Blog and the Egypt Travel Blog Podcast are produced in partnership with Jetset.Ninja and Egypt Elite.